Our agency has been awarded a national grant by the Substance Abuse and Mental Health Services Administration(SAMHSA). The grant is a media campaign aimed at parents, grandparents and caregivers of children 9-13. 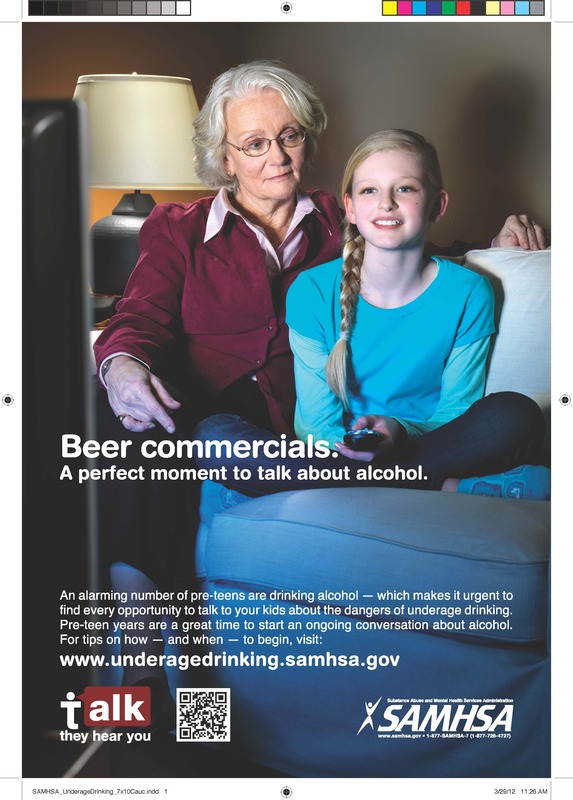 The media message focus on the prevention of underage drinking. Please take a minute to view the ad below and tell us what you think. By clicking on the comment button below, please provide thoughts, feelings and/or opinions about the ad. We want to hear the good AND the bad. As always, we appreciate your support and participation! NOTE: You do not have to be a parent or caretaker of a 9-13 year-old to provide feedback. We want to hear from everyone!